AGB Ladies suffered a heavy defeat in the Leinster League Final at the hands of a highly efficient Sarsfields Ladies side from Laois on Wednesday 7th May at Killeshin GAA grounds in Carlow. The first half was truly the decider in this game as the Arklow side were second to the ball and paid dearly for their mistakes. Sinéad Arthur scored a point for AGB in the second minute but the Arklow side failed to convert their chances throughout the half, giving away hard won possession and only registering a second point in the 29th minute. Sarsfields had no such difficulties as they ripped through the Arklow defence and snatched 3-12 for the half. Playing for pride in the second half the AGB ladies picked up the pace considerably. A goal from Áine O’Reilly in the 3rd minute lifted the spirits and it was followed by a point form Jessica Hurley and a second goal in the 9th minute gave the substantial crowd from Arklow something to cheer about. Arklow scored 2-7 for the half and Sarsfields added 7 points to their significant first half total to leave the final score 2-9 to 3-19. The Leinster League was very beneficial for AGB as they got to play four games against the very best opposition. All of the games were played with the height of sportsmanship and the highest quality of refereeing. Well done to Margaret Brennan and all in Leinster for organising the competition and affording clubs like ours and so many others an opportunity to enjoy football of such a high standard. Hopefully the Leinster League will continue to be supported by Leinster clubs going forward. 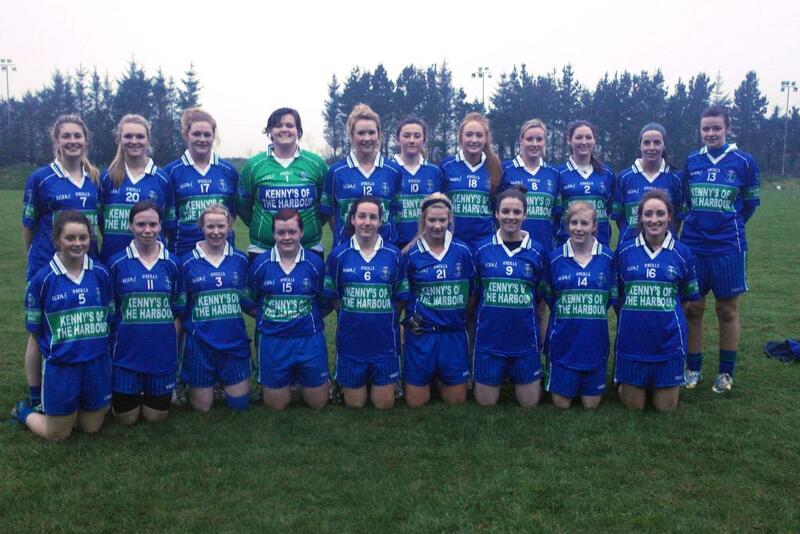 Thanks to all who travelled to Killeshin to support the ladies and to Dee Hurley for the refreshments after the game.